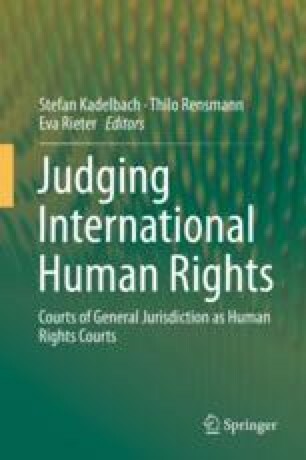 This chapter deals with the legal consequences for States of the recent decisions by the International Court of Justice involving individual rights. It also puts them in perspective by reference case law by the European Court of Human Rights and the ILC Articles on Diplomatic Protection. It discusses the legal consequences of the ICJ decisions not only for the States being held responsible but also for the States traditionally referred to as “injured states.” It addresses the substantive remedies that States are to provide for violations attributed to them and also the possible legal effect on the right of diplomatic protection of an “injured state” now that the rights violated are individual rights. The author does so by reference to the ICJ LaGrand and Avena cases, as well as Belgium v Senegal and Diallo. In addition, he discusses Article 19 of the ILC Articles on Diplomatic Protection and the damages judgment by the European Court of Human Rights in Cyprus v Turkey (2014).